Still chained to your desk come lunch time? Skipping meals because your hands are tied feeding the little ones? Or guiltily biting into another greasy fast food meal deal because you don’t have time for anything else? We understand the struggles of a fast-paced 21st century schedule, but we can assure you, your health does not need to suffer! Tune in for some of our favourite healthy lunch ideas, specially designed to be eaten on the fly. 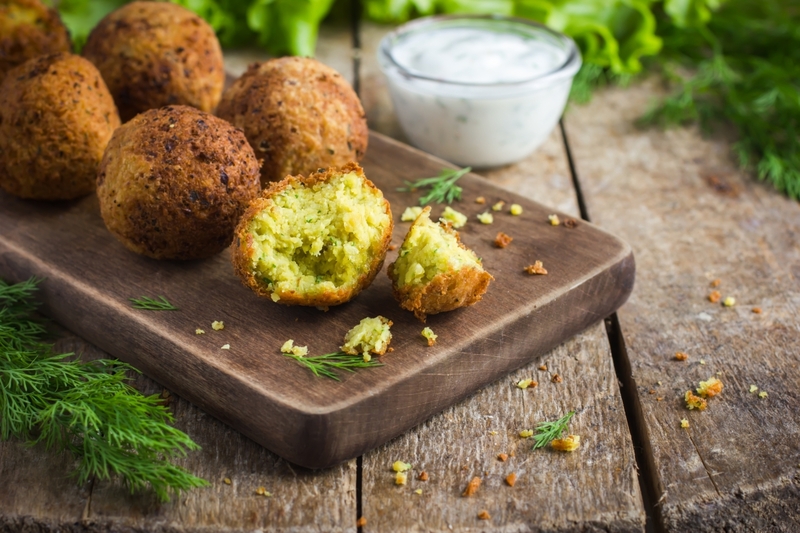 Made from hearty chickpeas, falafels are a nutrient-dense, ultra filling vegetarian lunch option which will satisfy even the largest of appetites. And when teamed with a healthy dipping sauce (we love natural Greek yoghurt, garlic and lemon juice) these little guys pack a serious flavour punch! Serve with a simple garden salad to get in one of your daily serves of greens. This delicious combo has featured in Aussie lunch boxes for decades—and for good reason! Opt for a healthy brown bread (which has a lower GI than its white counterpart, keeping you fuller for longer) and simply smash up a couple of seasoned, boiled eggs. Add shredded lettuce and voila! A tasty weekday lunch which will keep your energy levels constant and belly full for hours to come. Fresh, colourful and oh-so delicious, the Italians got it right when they put the caprese salad down in the history books. Inject your day with a little healthy Italian flair by combining the classic flavours of tomato, mozzarella and basil (a sprinkling of salt and pepper will bring this combo to life) atop a crunchy crisp bread of your choice—we love rice cakes and multigrain crackers. Perfect for using up left over chicken and sweet potato from the night before! 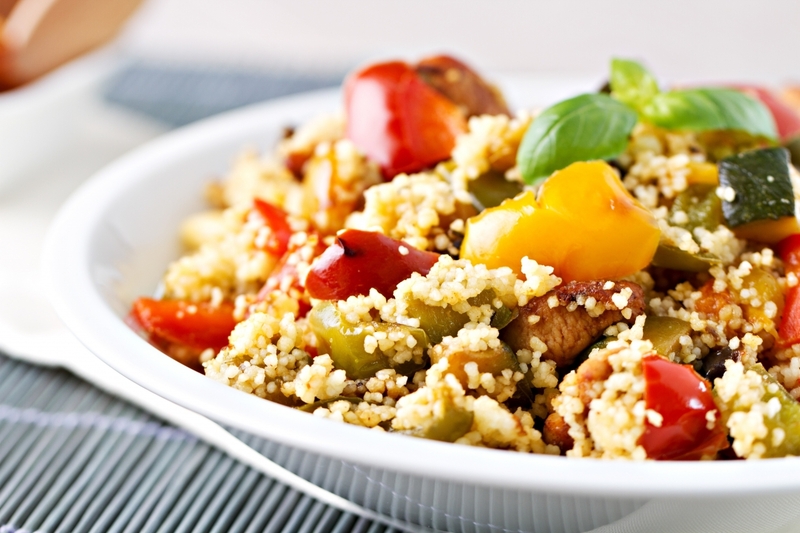 Simply slice up a pre-cooked chicken breast or thigh, then whip up some 3-minute cous cous adding a tiny bit of butter and salt for flavour. Combine the two ingredients, throw in your pre-prepared sweet potato and add some torn basil and parsley for freshness. We also love a sprinkling of pumpkin seeds for some extra healthy crunch! Fancy up your lunch with a touch decadence. Smoked salmon, low fat cream cheese, red onion and rocket makes for a 5-star flavour combo. Roll up between a healthy wholemeal wrap and you have yourself a tasty, one-handed meal perfect for eating on the go. Let us know if you whip up any of our speedy weekday lunch ideas! Which are your go-to healthy recipes?